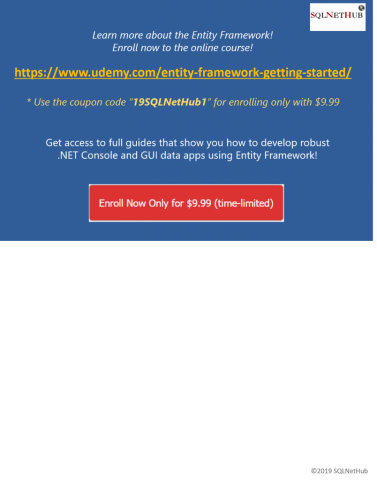 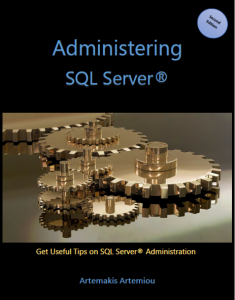 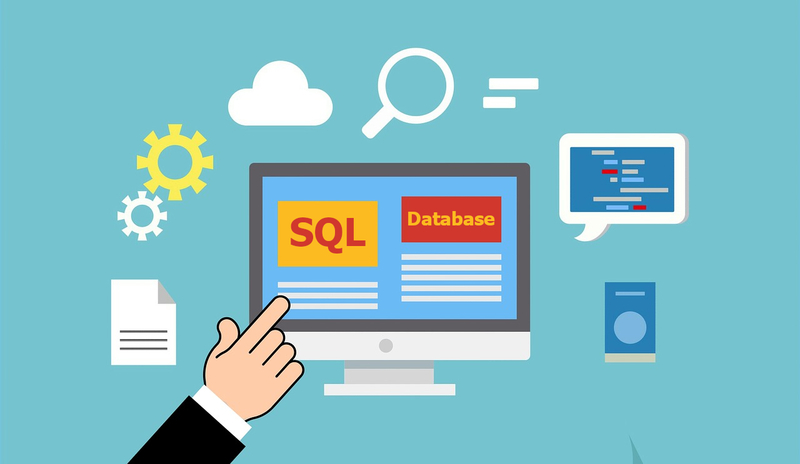 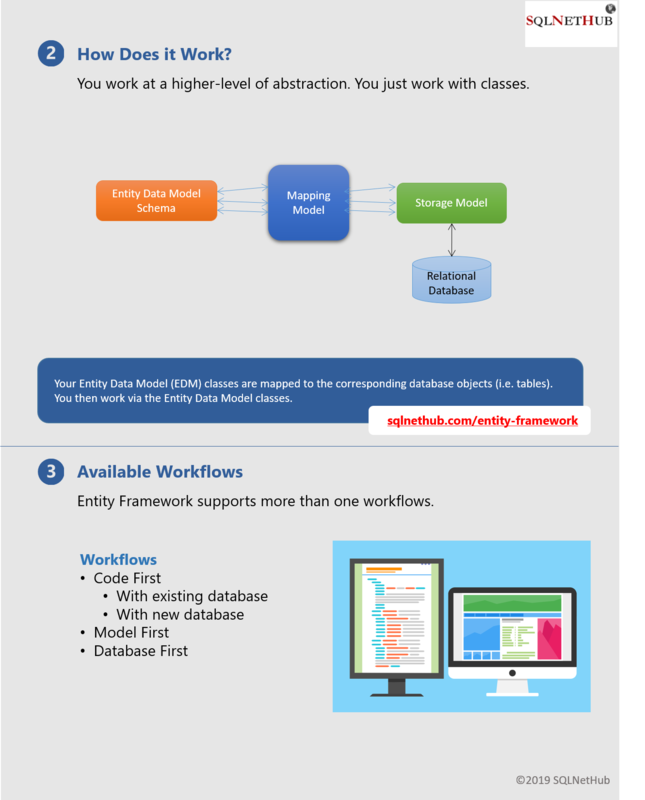 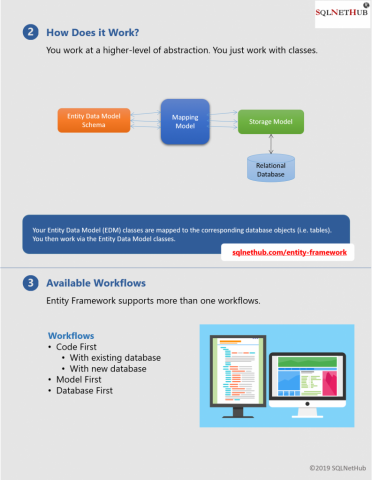 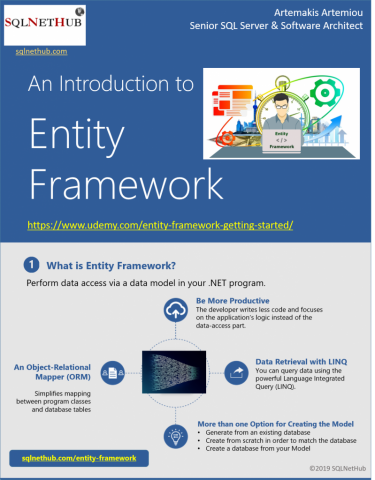 In this post, I’m sharing with you a useful infographic I created for my Online Course “Entity Framework: Getting Started (Ultimate Beginners Guide)“. 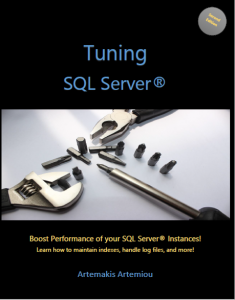 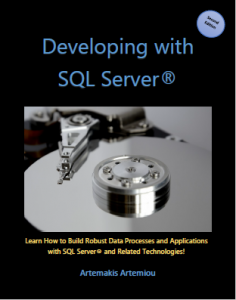 This infographic, provides a quick overview of the Entity Framework in .NET, it describes what it is, how it works and what are its workflows that allow you to build robust data apps in .NET. On this page, you can learn more about the course.